Y’all. We’ve made it 6 months into 2017. That’s half the year! For me, the first half of the year was spent in class and preparing for my junior year of college. It feels like a whirlwind of writing, listening and waiting. A formula that often equates to impatience (especially for me!) and yearning for time to move faster. Is there a way to truly live in the present while making way for an even greater future? The answer, yes. Currently, I question my future career, graduating early, summer internships and the infamous, “will I ever get a boyfriend?”. Questions like these are, too an extent, out of our control. The only thing we can control is the goals we set to get there. What are we doing now to set ourselves up in the best position for our desired outcome. After pulling out my notebook and writing down all of my “major goals”, I realized I no longer listed my short-term goals or anything considered fun. All the talk about the future had taken me away from my present. So how am I getting back on track? 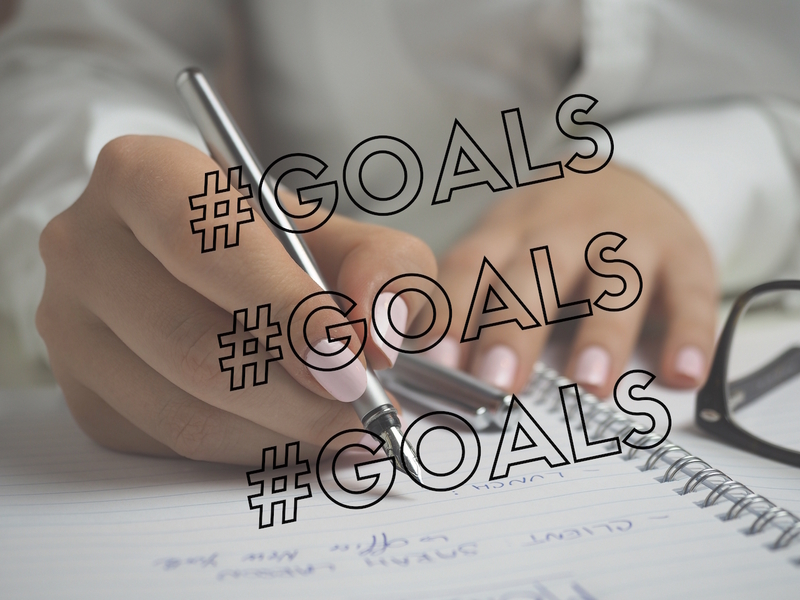 Write down your goals for the week or even for each day to get more specific! For example, this summer I am off the school meal plan. To get more acclimated to cooking and add more variety to my meals, I created a goal to try 1-2 new Pinterest meals per week. In one week, I tried a pesto chicken & pasta meal and garlic & herb flavored pork-chops! Step away from the computer, school work and anything serious. Literally, stop thinking! Go for a daily walk, sit down with a reflection journal, hang out with friends. Actively participate in something you genuinely enjoy. Embrace the now. Don’t just get caught up in making it look good for your resume or trying to meet the “right” people. Whether it be your coworkers, roommates or current organizations, make an effort to do your best, network and make memories. To be ready for the future does not mean forgoing your present. Live in the moment. Make memories. Enjoy the now. List your short-term and long-term goals below! How are you living for the now and planning for the future? Natural Hair Journey: It’s Been a Month! I am VERY into goal-setting right now! The best way to be, Amanda!